This award was established to recognize the great contributions of practitioners for delivering quality healthcare for older people, as well as to showcase the importance of the geriatrics clinician in our healthcare system. Through these clinicians' efforts, scientific advances are integrated into the practice of geriatrics resulting in improved well-being and quality-of-life for older people. We welcome nominations for exemplary geriatrics clinicians whose primary focus is on caring for older adults in the office, hospital, long-term care facility, or community. Nominees may have part-time clinical appointments at universities, but the majority of activities must be in the delivery of geriatrics care. Those holding part-time, clinical appointments at academic institutions should derive no more than 10% of their income from their university activities. Nominees must be AGS members. Contributing to community healthcare efforts. A letter of nomination. The nomination letter must attest to the nominee’s involvement in the AGS and the field of geriatrics and should specifically address how the individual's accomplishments relate to the purpose of the award. If the candidate has a part-time clinical appointment within a university teaching hospital, the nomination letter should also include the percentage of the candidate's salary that is supported by the university. One additional letter of support from colleagues (limited to 1 page). The nominee's biosketch (NIH-style, 4 pages maximum). 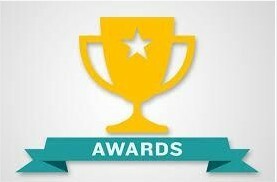 We encourage AGS state affiliates to nominate their members who meet the criteria for this award. Past candidates have been recipients of local "Clinician of the Year" awards before being nominated by state affiliates for this national honor.